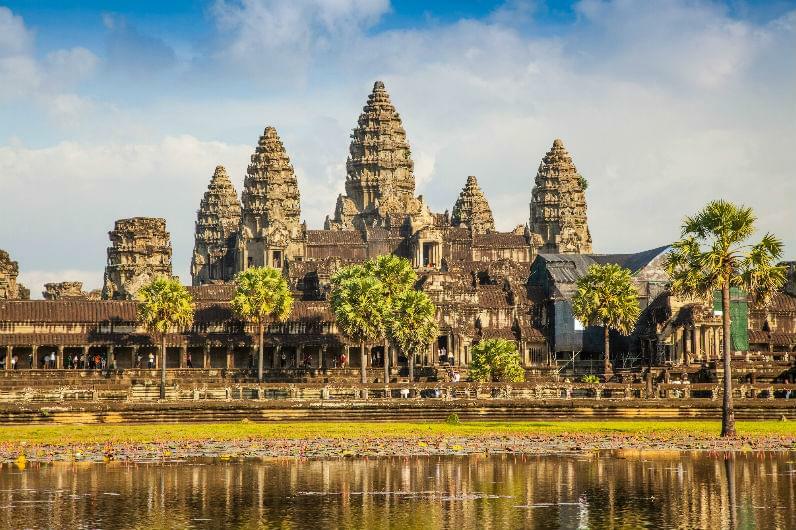 Most people go to Siem Reap in Cambodia to see the temples of Angkor Wat–the largest religious monument in the world. The Buddhist temple complex draws half the visitors that come to the country. The cost of getting there is not cheap though. But if you use miles to book a plane ticket, the accommodations, meals and transportation are very affordable. A 4-star hotel with breakfast will run you under $70. Lunch or dinner in a trendy area like Pub Street will cost you $4 to $12. A Tuk-Tuk ride (a motorcycle pulling a carriage) takes you anywhere in town for $2 or $3. Even the ticket to the ruins is reasonable: it costs $20 for one day or $40 for up to three visits within a week. Considering how much there is to see in and around Siem Reap, that’s a great deal. The airfare though is another matter. A roundtrip ticket from the U.S. to Siem Reap can be $1,500 or more. This is where frequent flyer programs can seriously, and I mean seriously, help. There are several options. I flew to Siem Reap on Asiana in a phenomenal first class suite. Here is my itinerary. However, due to the latest United mileage devaluations, booking premium class on the first leg of my trip would become too expensive after Feb 1, 2014. But there are alternatives. Unfortunately, the United devaluations also mean it will cost more to fly on Star partners. 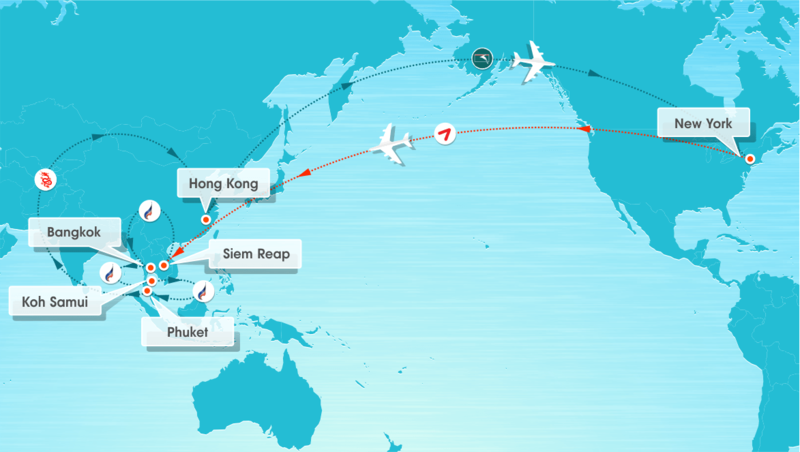 While the current redemption rate to Asia is 65,000 miles, on February 1 it will be 80,000. And business and first class are almost out of reach unless you have a stockpile of miles you’re looking to burn. So what else do we have as an option? Alternatively, you can use American miles to fly on Japan Airlines via Tokyo, but then you will have at least two stops, in Tokyo and Hong Kong. American is also the best way to get a business or first class seat because they haven’t devalued their award levels yet. A business class ticket will cost you 110,000 miles, and first-class 135,000. That’s extremely reasonable compared to using United miles on partners.